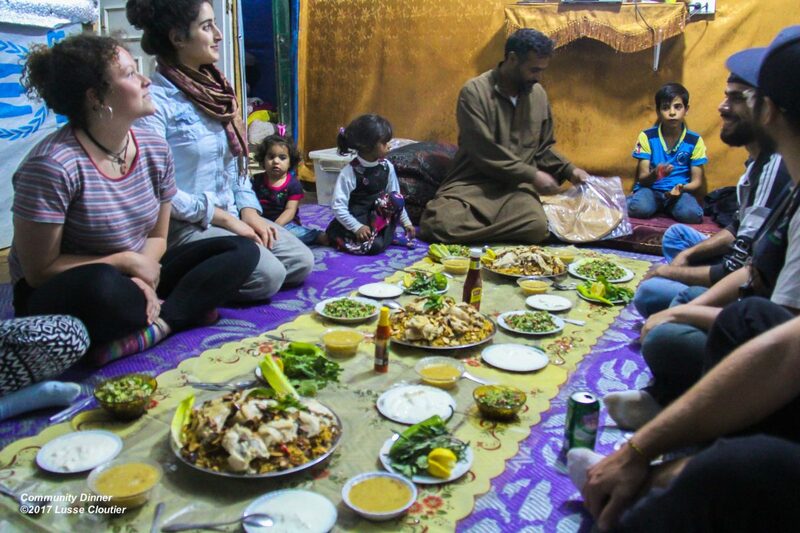 The “Community Dinner” is a cultural exchange project that takes place three times per month. 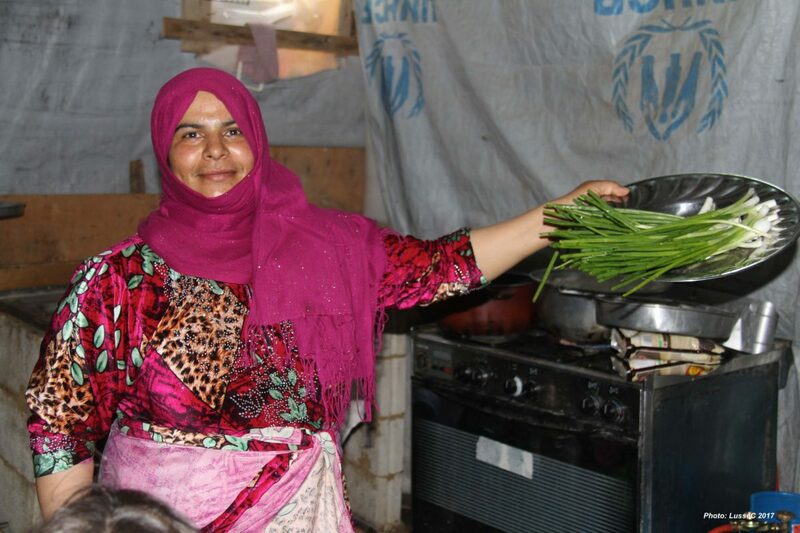 Through this project, we aim to bring people from various backgrounds together to cook and then share a meal together. 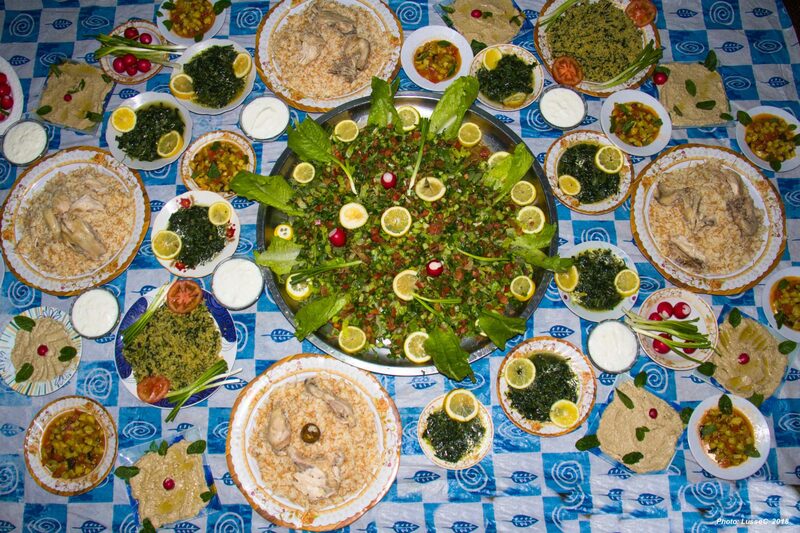 Salam provides all ingredients for the dinner. 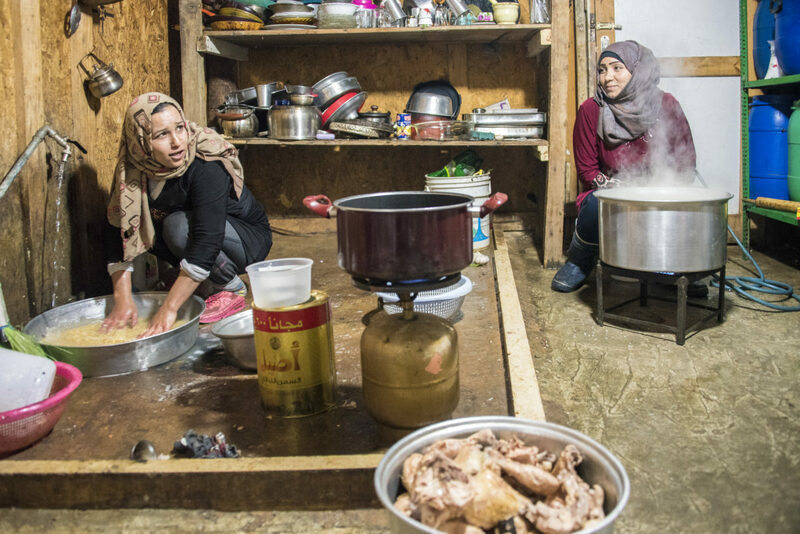 A team of volunteers sign up to help prepare the meal with a local family of Lebanese, Syrian or Palestinian origin, and then the dinner is hosted in the family’s home, typically a tent in an informal settlement The project has proven to be a great experience for all, with evenings filled with laughter, cultural dances, and attempts to communicate with each other in various languages. The project has creates relationships between individual families and the Salam volunteers, deepening cross-cultural understanding for all who participate.